Beautiful Picture: I went shopping. Eee. Beautiful Picture: I went shopping. Eee. Home » H+M » Haul » LUSH » Topshop » I went shopping. Eee. These are a few of the things i've bought over the past few weeks. First is a bit of a Lush loot. There was an offer on, if you spent over £20 you got a free goody bag. I bought this GORGEOUS dress in H&M. 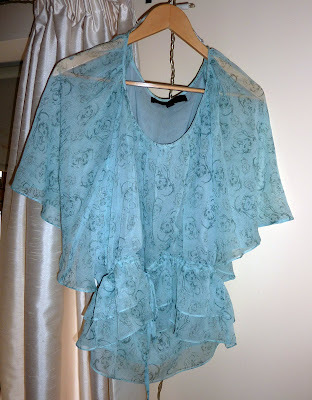 I love the shape, the fabric & the colours & i cannot wait to wear it. It would have looked nice at the wedding i went to...oh well. 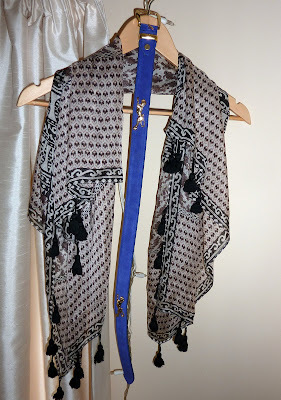 Next is a silk scarf from Warehouse which was in the sale. I thought it was super pretty & the colours meant it could be worn with pretty much anything..i also dont think i own enough scarf's. I then bought a blue belt in Topshop. 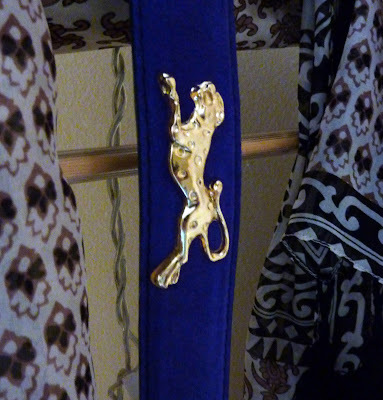 It's a waist belt with gold tigers on it. I liked this because it was different, the colour was striking & it actually FIT me. I find it incredibly hard to find waist belts that fit as im petite, and i can't wait to put this with an outift. A close up of the tiger...RAWR! 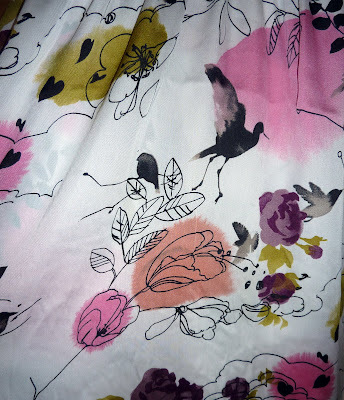 Also in the Topshop sale i noticed this silky number. 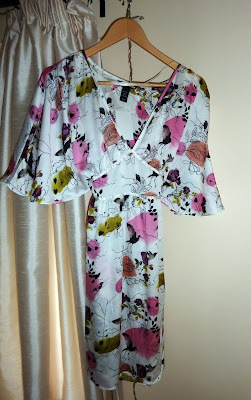 It was part of the Barbara Hulanicki range and was reduced from £40 to £15. I also love the detailing on this one too. 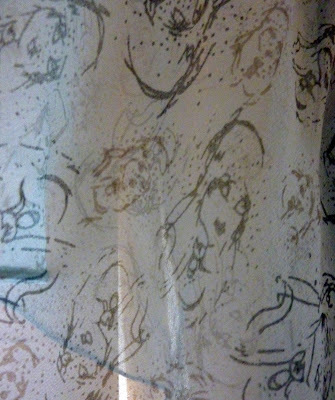 The pattern is of girls faces. So that's my little collection of new goodies for you. I also bought some Soap & Glory products yesterday which i will put in a seperate post, so look out for that one if you are interested. 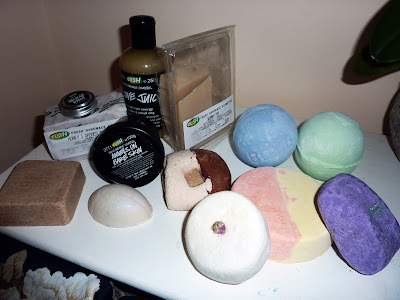 I'm thinking of doing a blogpost on Lush products that i would reccommend and others i would steer clear of...would any of you be interested in reading that?